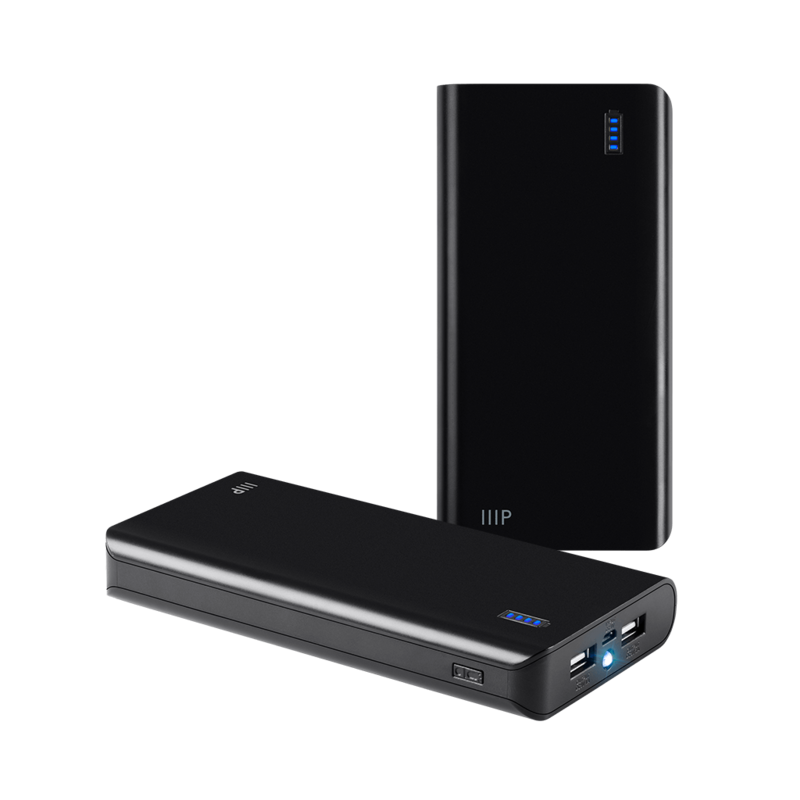 Why Choose a Monoprice Power Bank? 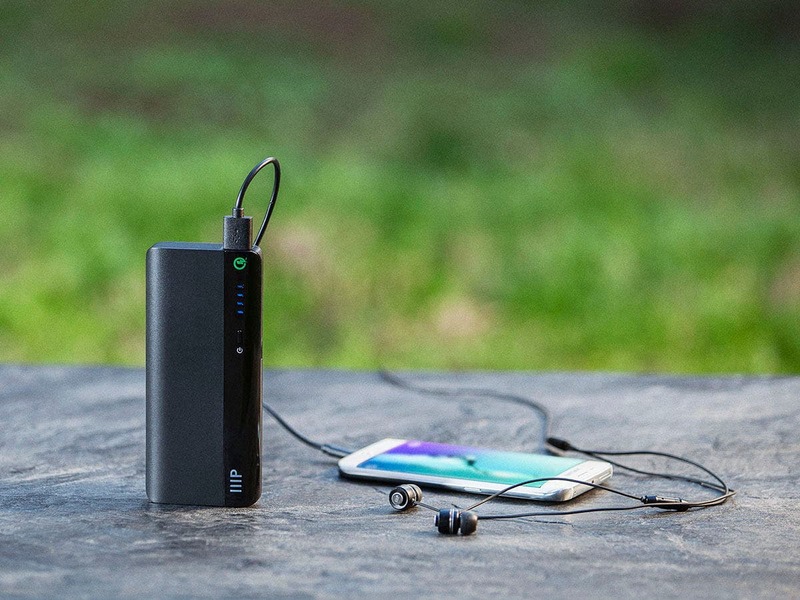 The device features a micro USB port for charging and a standard USB port for charging your devices. Plug into your computer or a USB wall outlet to charge. 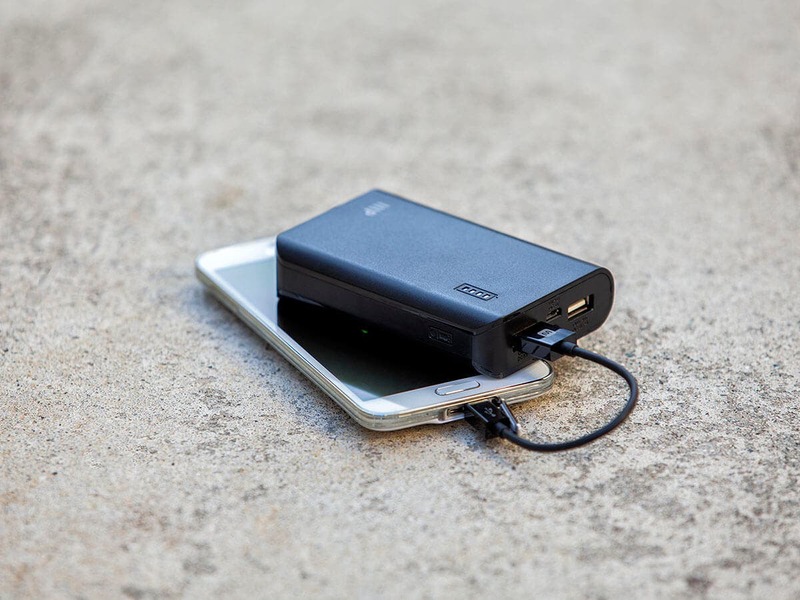 Included with the Power Bank is a micro USB cable for charging the Power Bank and a User's Guide. 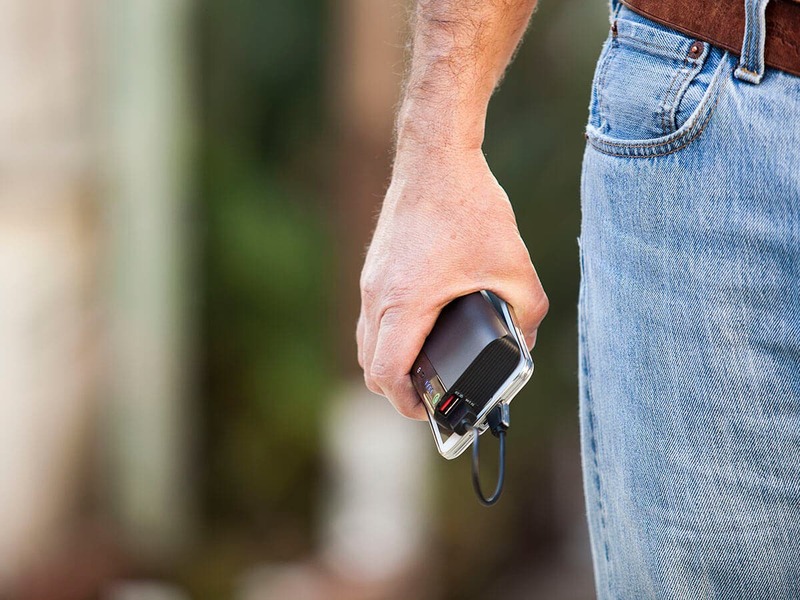 The Power Bank is compatible with most devices utilizing USB charging. 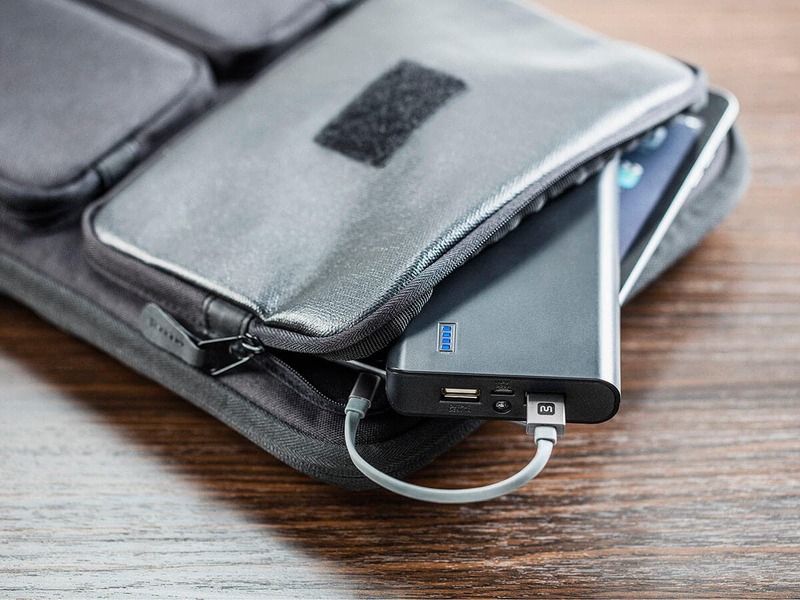 Each Power Bank is covered by Monoprice's 1-year warranty. Dimensions 3.5" x 1.2" x 0.8" 3.5" x 1.7" x 0.8" 3.9" x 2.6" x 0.9" 4.0" x 3.1" x 0.9" 4.7" x 3.1" x 0.9" 5.4" x 2.4" x 0.9" 5.4" x 2.4" x 0.9" 6.3" x 3.2" x 0.9" 6.3" x 3.2" x 0.9" 6.3" x 3.2" x 0.9"
Apple®, iPhone®, and iPad® are trademarks of Apple Inc., registered in the U.S. and other countries. Samsung® and Galaxy S® are registered trademarks of Samsung Electronics Co., Ltd.
USB Type-C™ and USB-C™ are trademarks of USB Implementers Forum, Inc.
Qualcomm® is a trademark of Qualcomm Incorporated, registered in the United States and other countries.